Everything about this project is cinematic. As with most of D.D. Jackson's earlier CDs, he thinks visually. Steeped in classical music, the 36-year-old, Canadian-born pianist-composer-arranger-producer has once again created a massive tone poem. 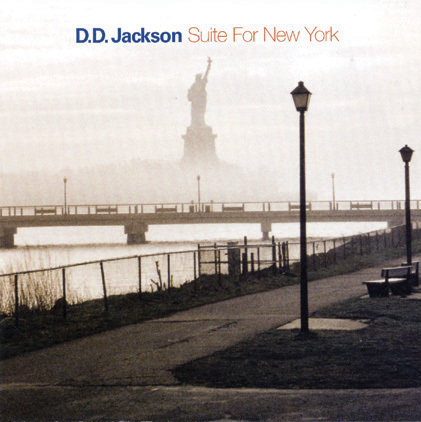 Suite for New York is sweepingly programmatic, precisely written and yet, where called for, so extemporaneous, it sounds a bit like "Richard Strauss Meets Sun Ra." For his latest magnum opus, Jackson chose an ambitious tableau of New York, calling it "a collective group meditation on the events on 9/11," paying tribute "to New Yorkers' heroism and spirit of resilience." For the undertaking, he employs a frontline of trumpeter Brad Turner, trombonist Tom Walsh, alto saxophonist and flutist James Spaulding and baritone saxophonist David Mott as well as violin and cello often overdubbed, a hyperkinetic rhythm section and even a poet, David Gonzalez, who reads his "Eight Million Dreamers." Spaulding and Turner are outstanding. Apparently incapable of thinking small (Jackson recently completed a jazz opera), his Suite for New York is well over an hour of painting his adoptive city with broad strokes, capturing its sights, sounds and nervous energy. The music on tracks such as "Brooklyn Lullaby," "El Barrio" and "BQE" (Brooklyn-Queens Expressway) are self-explanatory. Other tracks, labeled "Invocation," require a scorecard. That's where the clarity of liner annotator Howard Mandel is eloquently helpful. But listening without reading (the litmus test for any music) is still a memorable experience. Jackson's creation is an impressive montage of controlled chaos, exciting solo work and promise of things to come: a febrile fusion of futuristic jazz, contemporary classical, streetwise funk and Afro-Cuban sensuality.